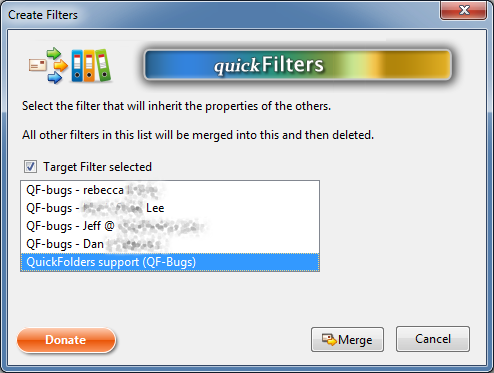 quickFilters yet most powerful productivity feature: With the new Filter Teach mode, creating filters becomes as easy as drag + click. 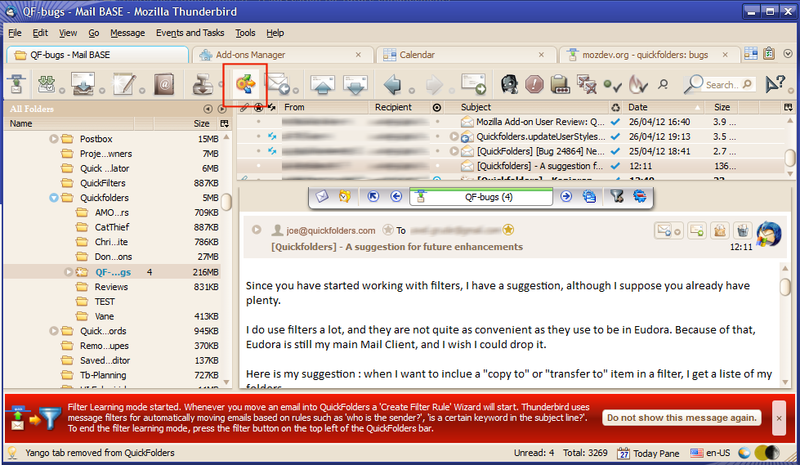 Turn on and start dragging your emails into quickFilters, the wizard takes care of the rest. Here is a detailed explanation. 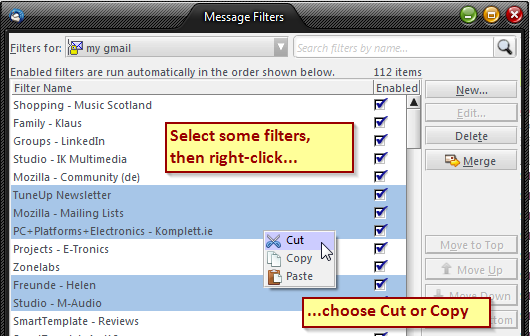 Creating a filter from an email that is already in its destination folder, by right-clicking it. 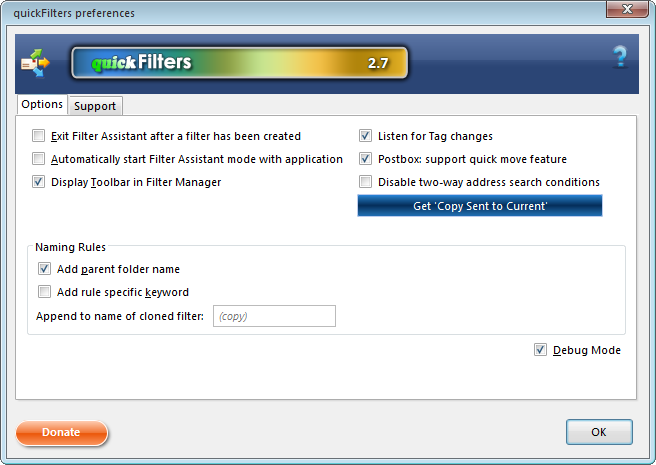 Filter Assistant mode will monitor all manual file movements. 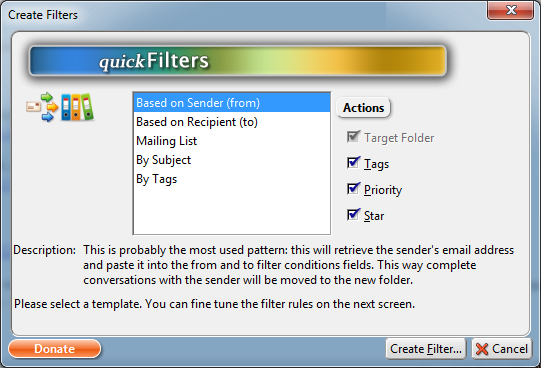 For a detailed description of all options on this page, please got to the quickFilters Home Page. 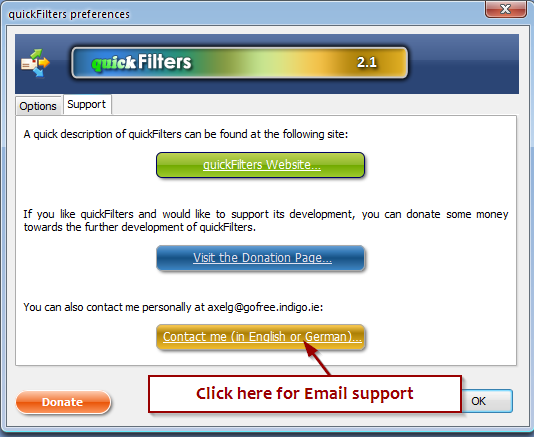 From here, you can jump to the support pages, donate money or contact me via Email. 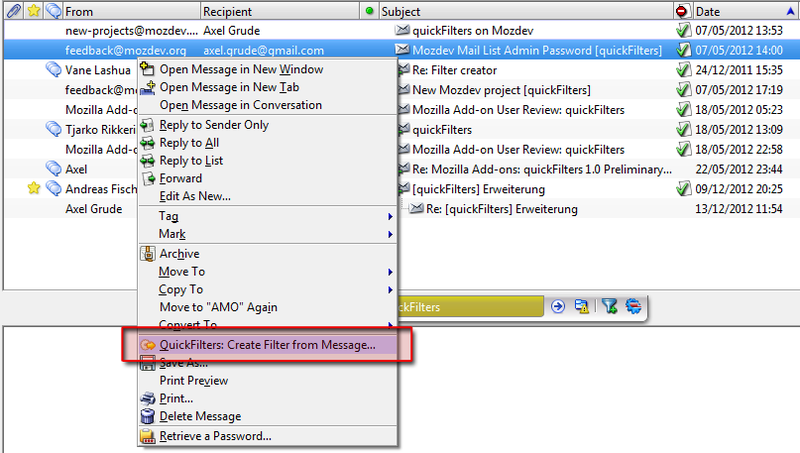 With the context menu, filters can be copied or moved to other mail accounts. 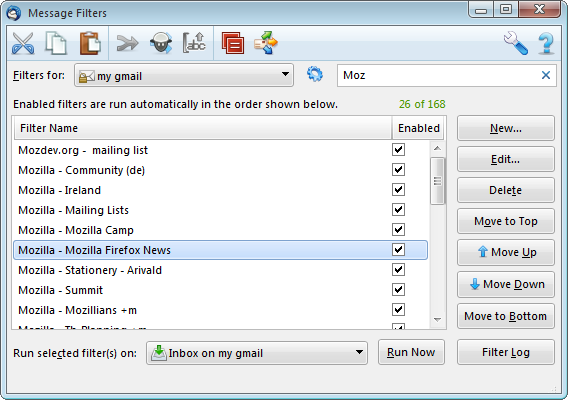 With the context menu, filters can be copied or moved to other mail accounts. 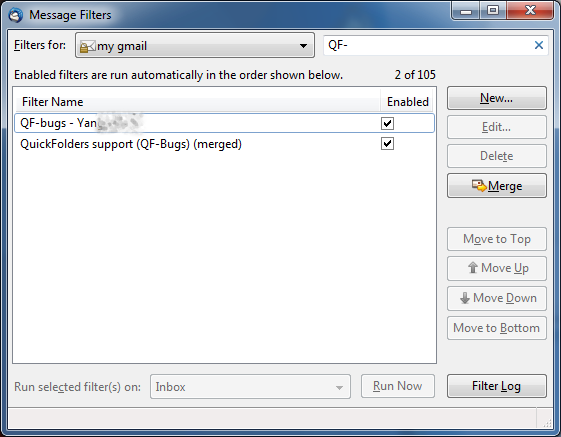 The assistant will also leave out filters that do not match the main action of the merged filter.